One of my musician friends also runs a flower shop. She’s quite “mellow” as most musicians are but one subject that can draw her ire is the phrase “in lieu of flowers” that we often see in obituaries these days. I can’t say that I blame her because the phrase “in lieu of maple syrup” might well raise my hackles a bit…after all, our livelihood should be sacred to us. Susan (not her real name) runs a quaint little flower shop and does a great job of arranging bouquets for every purpose. Just look at those Irises! were creating displays with plants as early as 2500 BC and even leaving proof of it in some stone carvings. For you “in lieu of” folks, flowers are indeed here to stay. 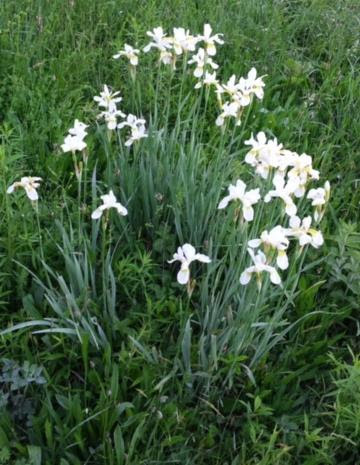 The best flower arrangements of all, however, are heaven sent, like the clump of white irises that made their worldly début out in the middle of the field in front of our house last month. If they’d been daisies or buttercups, I would have thought nothing of it, but irises don’t simply appear out in the middle of a field. Yes, they were planted, in this case, by my mother and father. 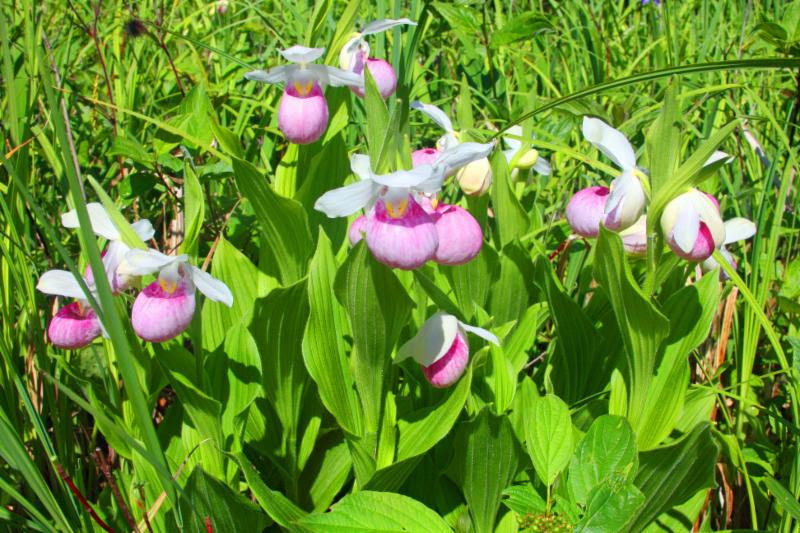 Both Mom and Dad have been gone now for many years but we continue to receive occasional gifts and messages from them, sometimes even in duplicate…you see, the word “iris” comes from the Greek word for “rainbow” and my folks often communicate to us by rainbow. That iris clump stood fresh and fragrant for only a short time before it wilted in the sun but we sure enjoyed it…thanks Mom and Dad for the flowers!